Curious what Countries are visiting what Cryptocurrency Exchanges? Have you ever wondered exactly what countries were really using what cryptocurrency exchanges? According to data compiled by https://twitter.com/tokens24, we can easily see what country is visiting what exchange. 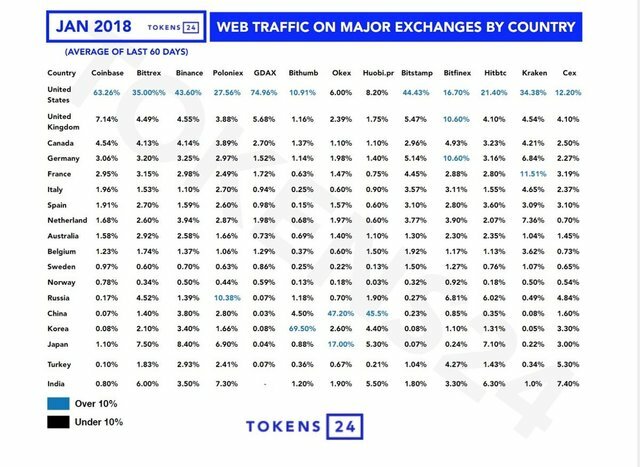 When I first saw this data I found it truly shocking how much of the traffic was coming from US users, even on exchanges based in other countries! I am not really sure whether that is a good thing or a bad thing, but it is a thing never the less. 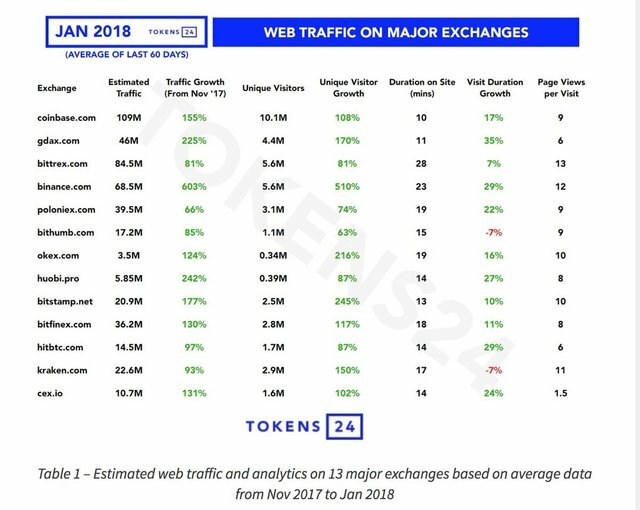 Not surprisingly, Coinbase is dominating most of these web traffic statistics, but new comer Binance is quickly asserting its name in with the big boys of crypto. Given where all the traffic seems to be coming from, I would not be surprised to see Robinhood on this list within the next year, especially when they expand the reach of their crypto trading app. Finally, thrown in for good measure, we can see how closely google searches of bitcoin seem to correlate with its price. Could have fooled me, it looks almost identical to the price chart over this same time period! It's not all that surprising when you think about it, but it is interesting never the less. Overall, I would say that the visits by country to cryptocurrency exchanges over the last 60 days was extremely surprising and eye opening to say the least. I had no idea the vast majority of visits seem to be coming from US based users. Cryptocurrency exchanges are growing like weeds. 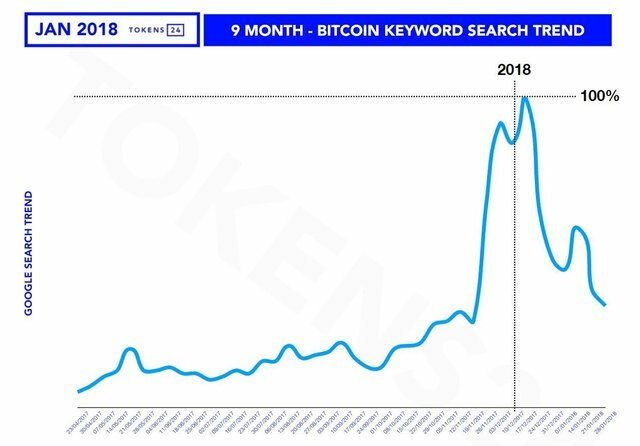 The price of bitcoin follows (or more likely leads) google searches. I find it very interesting how many Russians seem to be using Poloniex. Also, whats with the French interest in Kraken? Is it their Euro pairs? Do you mean because of VPN? My thoughts as well. I am thinking it will be easier to get money in on the next crypto surge, which could make prices go even higher than they did on the last surge. Exactly, the more ppl with exchange accounts, the more accessible crypto is, the more FOMO there is. I think most of the traffic Is from Asia... and now with China Banning Exchange I think it will be slow for things to go higher.. it will but will just take time.. once things like Loopring is out 100% then that will greatly improve how we can exchange our coins.. anyway it is still very early days in crypto..
i appreciate your work friend! Where's that data from? Alexa or something? If it is then the data is very limited and highly skewed. If it's just searches results, it doesn't really tell us anything other than what people are looking at briefly. I'm not so surprised. US traffic is usually on top on most international sites (of English language). China, Korea and Japan seem a little low when it comes to cryptocurrencies. Are they using other local exchanges, perhaps? Binance has risen quickly! Hopefully they will overcome the problems caused by this rapid growth. Yes I am wondering if they are somehow routing back through US sites, due to it being illegal over there, making it look like it's a US based user. They might. Chinese already have experience in using VPNs to bypass gvt's censorship. Interesting, how about traffic behind VPNs? Wow! Thanks for sharing this Great info!. Please is it possible to get the details for any country around the world? because i'm curious to see the stats of my country, Cameroon. I wonder if we are up to 100 traders tho. bro your work is nice, i appreciate your post.all the best. Guys Check this out!! This is the Ico that people need, that many individuals recommend such as athletes economic advisors and other teachers! Its called FineCoin, the coin is Europe's finest Cryptocurrency! Join today and get your bonuses! Turkish users mostly using domastic exchanges like Paribu , BTCTurk and Koinim Exchanges, that is why traffic so low among the Turkish users. This is informative man! We need to see our coins moon soon. Wow this post is filled with surprises ....I'm actually very surprised that binance is showing it's might among the "big boys" .... good work!!! Thanks for the information, been looking for something like this for a few days, just hadn't got round to finding it! Congratulations @jrcornel, this post is the ninth most rewarded post (based on pending payouts) in the last 12 hours written by a Superhero or Legend account holder (accounts hold greater than 100 Mega Vests). The total number of posts by Superhero and Legend account holders during this period was 47 and the total pending payments to posts in these categories was $3024.86. To see the full list of highest paid posts across all accounts categories, click here. Why is cryptopia not part of your review. It's a good sign the US and UK are toping the list as their authorities are responsible for the crash of the market. But hopefully, it will certainly bounce back to life. Nice to meet you. 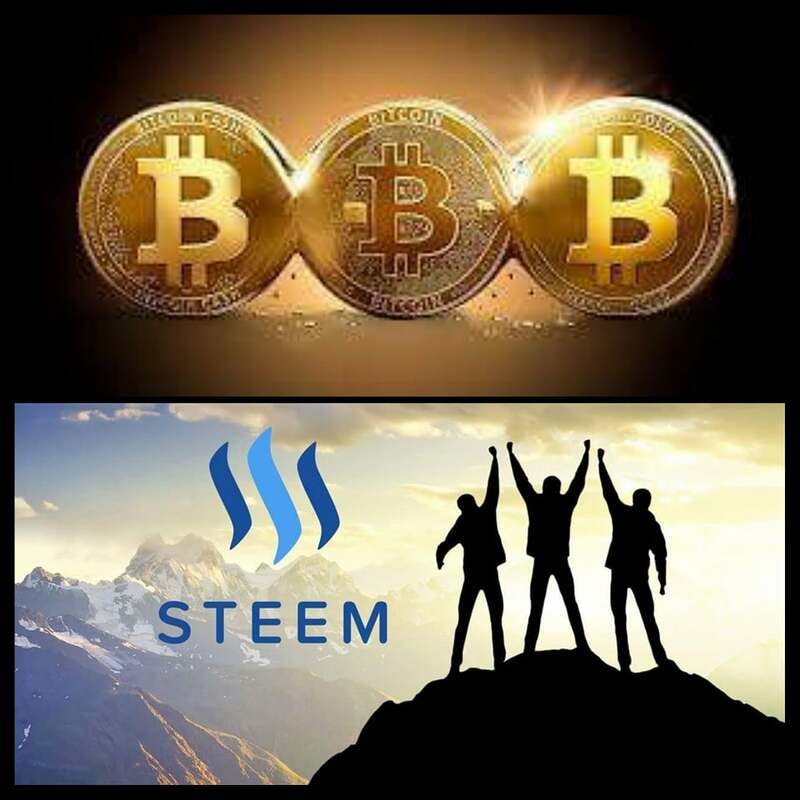 I first started to get into steemit. I'll follow you. Thank you for a good article. Very interesting data about the US buyers on exchanges... also BTC price movement preceding keyword search data. Never knew about these stats! Thank you for sharing! the bitcoin will be the new world currency, the Americans do search followed by this currency because this will be the new global trend in futuristic trade, being one of the best offers in monetary exchange, thanks for the information. Interesting my country is no where to be found on the list. I guess majority of the people here are still innocent on what cryptocurrency is. It'll be interesting to see how long Coinbase holds the throne..
nice detailed info..expecting more news,upvoted it!! cheers!! @jrcornel very impressive post .sir kindly upvote for my post and follow me .i am struggling here and can not take a good initiative. Thanks for the link you share I want to like you. They only show the top users maybe. Thanks for collating & compiling the data. I tell ya, Binance came blazing out of the gate! Here I was, thinking that Poloniex would keep its #1 spot. Upvoted, thankyou for the support , interesting post. This stats shows the dependency that the crypto world is living in, US, China and Korea are the Big Boys on cryptocurrencies... that´s why the korea "ban" were so bad for the markets and after some more information the bounce back up was very significant. Very nice and useful post . . I followed U and Upvoted . . Wish U do the same to support me. . This is very information to read. Unfortunately my country is not on here. I have been asking around here and cannot get good answers. I am going to set up an account at Coinbase and Binance. Thanks for the info. Interesting stats, thanks for posting ! Upvoted and followed ! Maybe you will find this interesting too ... Best regards! You need to take the population of these countries into perspective. Obviously the US has the highest population and therefore it's not very surprising that they cause the majority of the traffic on most exchanges.